New concept store redefines fashion in the local scene — The Third World • Community driven and built by culture – Streetwear, sneakers, photography, music, art and lifestyle. As the local retail industry has been continually unfolding over the past couple of years, it can still be noticeable that some brands are still not accessible within our country. Some would choose to have items shipped from different countries as no local store offers the brand they desire. Unraveling the issue of inaccessibility, Akimbo was founded. Accentuating brands that express individuality, multi-brand concept store, Akimbo, offers more than just garments. Defined as “with hands on the hips and elbows turned outward,” Akimbo paints a unique figure in our minds that inclusively epitomizes what the store is – a place where peculiar garments can be found, bringing in a fresh concept of what streetwear can be. Akimbo envisions itself as the purveyor of good taste in fashion. Various collections can be found in-store that encompasses fashion as a form of expression, not solely as clothes worn daily. It strays away from brands we usually know by revolutionizing the norm and making a statement with their selection of clothes. Pushing the boundaries of the status quo, the store’s avant-garde items highlight the creativity within fashion. 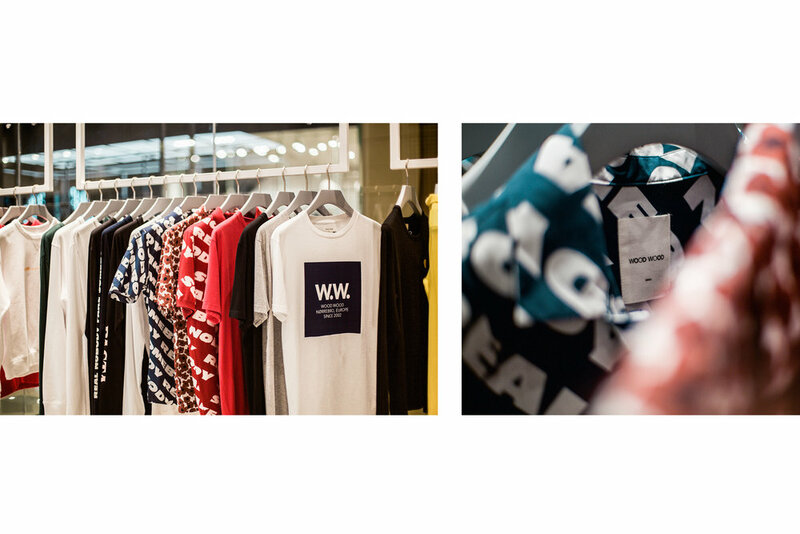 The store exhibits brands namely Vans, Casio (G-shock), Wood Wood, Opening Ceremony, Axel Arigato, Marcelo Burlon, MSGM, Kappa Kontrol, N21, Versus Versace, Unravel Project, SJYP, GCDS, Ambush, Han Kjobenhavn, Facetasm, Fxxking Rabbits, Bedwin and the Heartbreakers, Walk of Shame, XLarge, Paterson, Oakley x Samuel Ross, and Denim by Vanquish & Fragment. Featuring a minimalist design that we have all come to appreciate, metal furnishings and a mix of plants that truly manifest an aesthetic vibe can be found in-store. Displays such as Bearbrick collectibles, Banksy artwork, as well as a BAPE couch can also be noticed, which adds to the store’s identity. AKIMBO can be found at the Ground Floor of Uptown Mall in Bonifacio Global City.